Wouldn’t it be special to walk down the aisle in a lovingly hand-crafted custom dress? 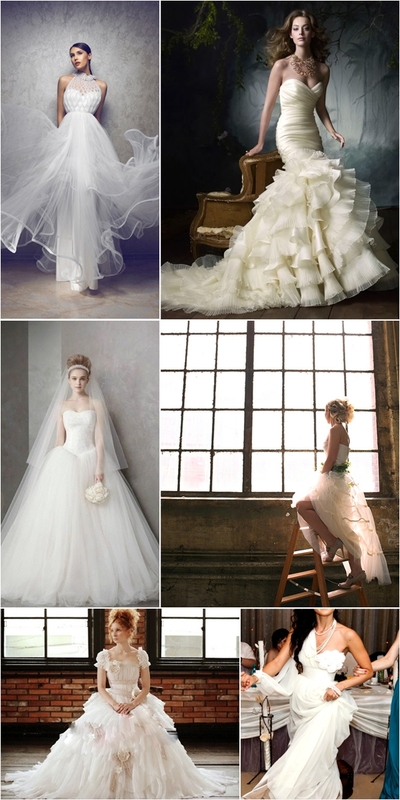 Handmade wedding dresses have gained popularity in recent years. These fun, functional designs are beautiful and authentic to each bride’s personality. Handmade wedding dresses usually don’t come with designer price tags, so you can help independent retailers and talented designers without burning a hole in your pocket. Many handmade dresses are constructed entirely or mostly from recycled and reclaimed materials, creating a sustainable, Eco-conscious approach to wearable couture. We’d like to spotlight some beautiful handmade wedding dresses today. If you or your friends are getting hitched soon, definitely consider the handmade route for less cost, more unique styles, and better environmental effects.